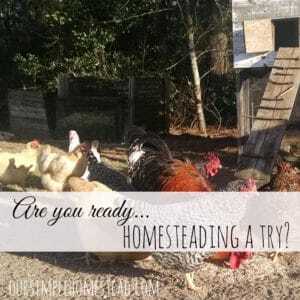 Do you dream of owning your own homestead? A place where you can grow your own food, raise your own animals and stop being reliant on those big-box stores. From our own experience I can tell you that with some careful planning and modest investment almost anyone can turn that dream into reality. 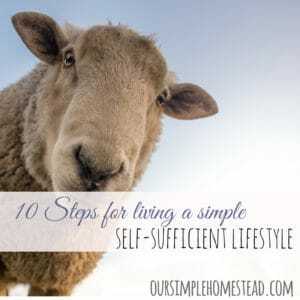 Whether you live in the city, the country, or in an urban environment you CAN live a self-sufficient homesteading lifestyle. Your very first step is to have a general idea of what you want. Spend more quality time with your family? Do you want to generate your own energy? Knowing where to start can sometimes be overwhelming; especially if you’re currently living paycheck to paycheck, spending most of your time in a cubicle. Start today by focusing on survival rather than consumerism. Look at your current living conditions. Where does most of your food, shelter and energy come from? 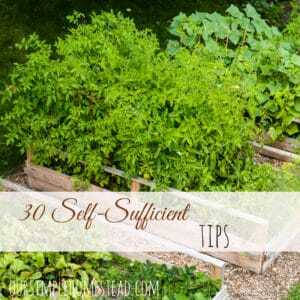 Look for ways you can start providing some of life’s most fundamental necessities yourself. I finally found heavy duty clothespins. 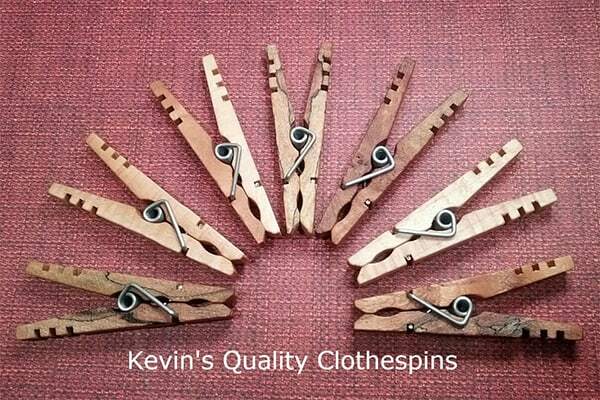 I’ve been line drying clothes for years, and have gone through many different styles of clothespins. From plastic, to peg, to cheaply made China pins, and no matter which ones I bought, I never could find any heavy duty clothespins that would hold up to the wind we get here on the farm. My clothes would always end up on the ground. Since I was introduced to these hand-made heavy duty clothes pins I don’t have to worry about anything ending up on the ground! Start with a couple backyard hens or meat rabbits. 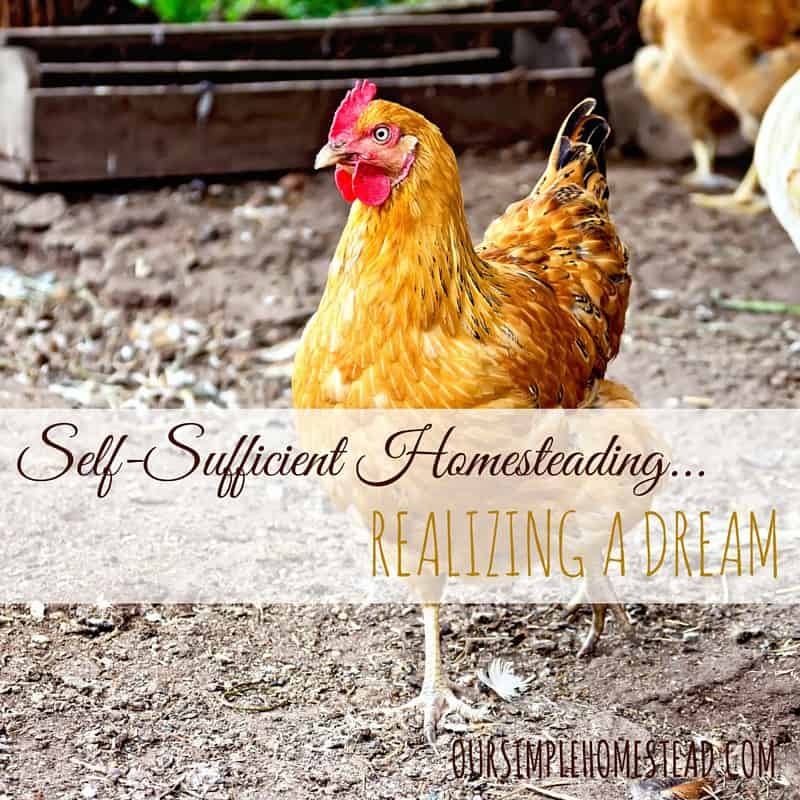 The best tip I can give anyone wanting to start living a self-sufficient homesteading lifestyle is to become a producer, not a consumer. Learning ways you can take care of your family is the best way to reduce your cost of living and increase your self-sufficiency. Amen to that! So many people are caught up in the consumer mentality without even realizing it. We try to support local farmers, craftspeople and businesses as possible. It feels good to know that you are supporting your neighbors and keeping the community alive. We still have a long way to go before we realize our rural dream, but it helps to start small. Sandra so happy you are enjoying finding your around! 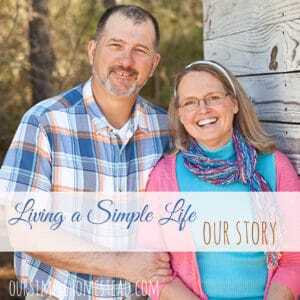 So glad to have found your blog! We homestead currently as well (on a 2 acre rental) and are getting ready to build a house and move to a small farm where we can more fully realize our homestead dream 🙂 I love all your tips. My biggest concern is that having 2-year old twins, as they grow up we will end up constantly driving in to town for various activities for them. I love that you have pigs!! It’s something I’d like to get into eventually. 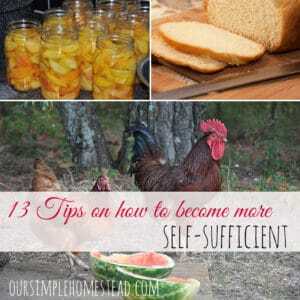 We have chickens and a vegetable garden, cook from scratch quite a bit and make a lot of our basics but I’m looking forward to becoming more self-sufficient. Inspiring post Tracy. 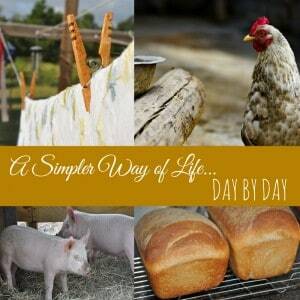 I know so many people dream of slowing down and living a simpler life. We dreamed of it, and following much of what you described, we made it our reality. This will be our second summer on our dream homestead (versus the suburban homestead, which works for many, but not our dream). 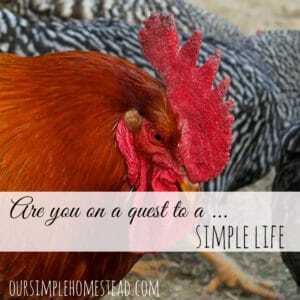 Found you through Our Simple Homestead Blog Hop! It’s a wonderful way of life and wouldn’t trade it for anything in the world!! The joy and contentment in learning new skills, creating more than consuming, and making home the heart of our life is far greater than the hectic life we lived in pursuit of money. We gave up our incomes, but my husband, children and I spend our days together enjoying our land and nature. It really does start with small steps. Even before we left the city life, we grew what food we could in pots and flower patches, learned to make our soaps, lotions, tooth powders, and cleaning products, learned to can summer tomatoes, knit and sew, and so much more! Thank you for the encouraging words! I love the ‘be a producer, not a consumer’. 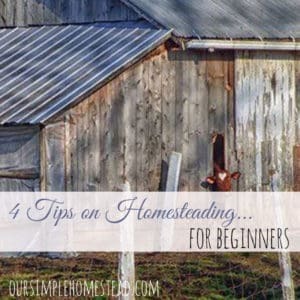 I think that is great advice even for those of us not homesteading. Thanks for sharing on Simply Natural Saturdays. I am glad to know I am not alone. I do a lot of these things but am adding more all the time. Probably will not do animals again-bad memories of watching the coyotes eat all my chickens one night. I am learning how to can. And what a feeling when I bought pasta and realized I didn’t need to buy sauce. I have ten quarts of homemade sauce in the cabinet and will be adding more next weekend. I lost my house and went through a nasty divorce at 50. I might not ever be able to have my own place but I know I can be happy with whatever I can do.